A new key player in the New Space Race, Kineis, is launching their first European constellation of smallsats, with the goal of bringing global connectivity (IoT) to users fingertips. With connected watches, cars and now even houses, the time has come for the IoT (Internet of Things) revolution. According to a study published by CISCO, by 2020 there will be more than 30 billion connected objects in the world. This unprecedented development will transform the world economy. Currently, 90 percent of the world is either not network-connected, or connected but prohibitively expensive. Furthermore, today’s IoT offers are difficult to use — yet, the needs exist now: how do you find a lost container? Or a container is transporting perishable goods: how do you remotely control its temperature? A traditional fishing boat suffers engine failure: how do you send out an SOS call? How do you track it down to offer assistance? A hiker in Nepal wants to share his trip with his friends and family in real time: how can he post his route? Logistics, fishing, agriculture and outdoor recreation are all sectors seeking affordable global connectivity. According to the company, their Kineis constellation will be in orbit by 2021. Kineis has been created by French firm CLS (Collecte Localisation Satellites) with the support CNES and will put into play a new innovative satellite constellation of 20 smallsats with advanced technology that is tailor-made for connected objects — that is the goal. CLS has entrusted Thales Alenia Space to develop the constellation as the prime contractor, which will rely on Nexeya for the fabrication of the nanosatellite platforms, and Syrlinks for support in the design and construction of the instrument. 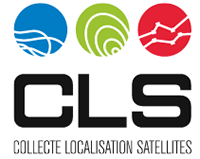 CLS, a subsidiary of CNES, ARDIAN (an independent private investment company that manages and/or advices on $60 billion in assets) and IFREMER, an international company that has been pioneering the provisioning of Earth Observation and monitoring solutions since 1986. Jean-Yves Le Gall, the President of CNES, stated that with Kineis, French NewSpace is becoming a reality based on more than 50 years of space success that can provide a competitive offer with high added value. Kineis has CNES's unconditional backing to develop what will soon become a worldwide reference. A new opportunity for CNES to promote the development of the space industry and its excellence. Alexandre Tisserant, Kineisis Project Leader, said that Kineis is a satellite operator that will provide unique, universal connectivity fully dedicated to the IoT industry. Any object fitted with a Kineis modem can be located and transmit data wherever it is, whatever the conditions. Kineis connectivity is simple to integrate into third-party devices, consumes very little power and is reliable. All of this will be available at a very competitive price, making it accessible to as many people as possible, so Kineis will very soon be locating and collecting data from several million connected objects, in real or near-real time.